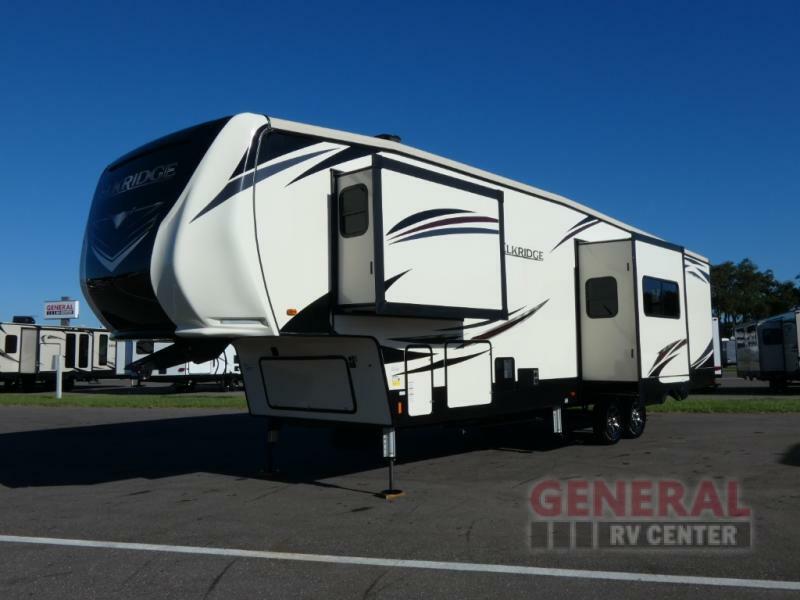 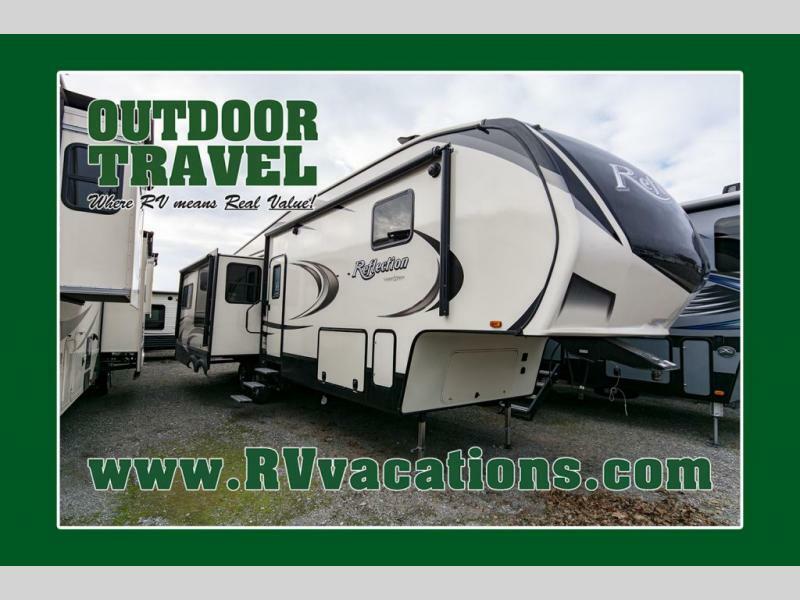 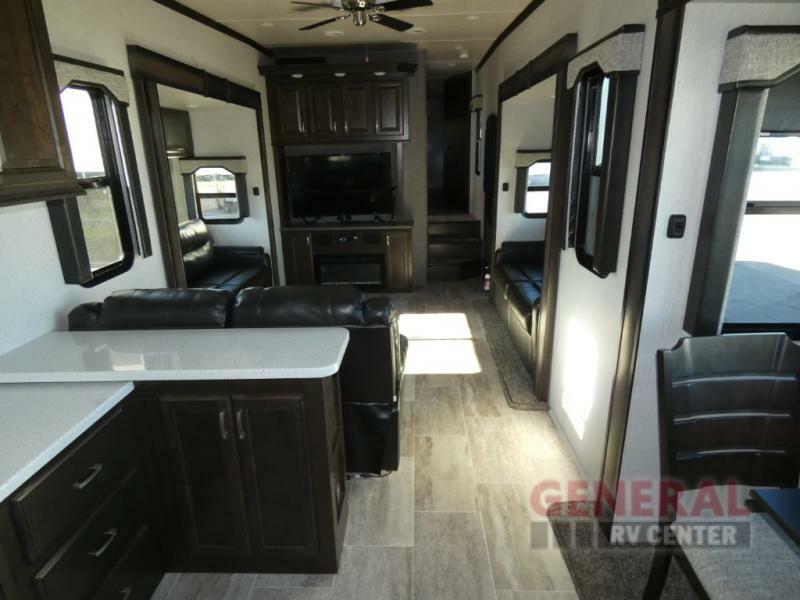 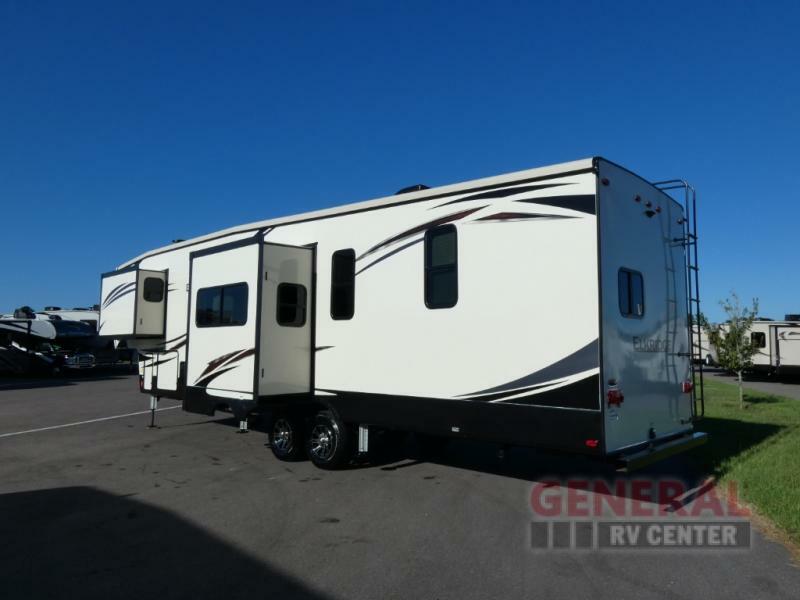 Heartland Elkridge fifth wheel 37 RK highlights: Tri-Fold Sofas Free-Standing Table King-Size Bed Four Slides Walk-In Closet For an enjoyable weekend getaway or long trip across the country, this Elkridge fifth wheel is what you need to get you there. 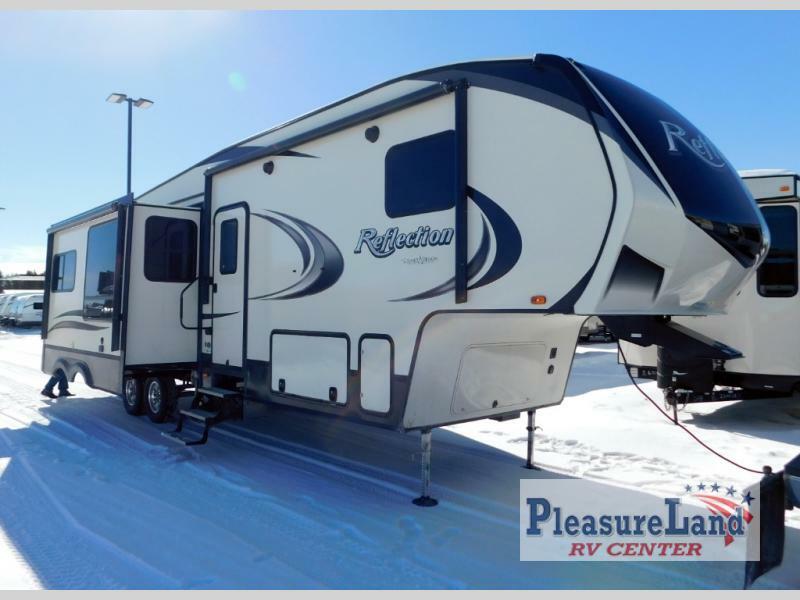 Whether you're lounging on one of the opposing slide-out tri-fold sofas or the theater seats with heat and massage capabilities, you will love the comfort and relaxation found throughout this trailer. 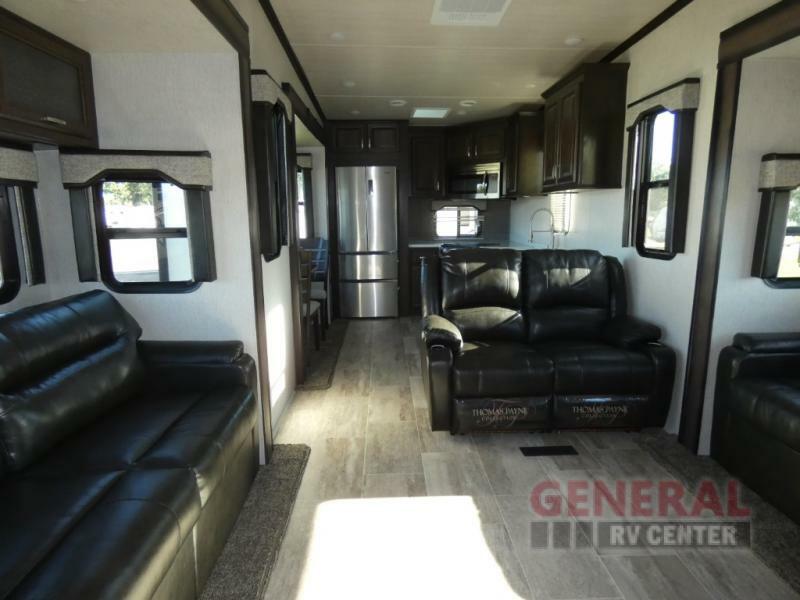 Playing a game of cards on the free-standing table with chairs while dinner is being prepared on the 3-burner range top in the adjoining kitchen will make you feel like you're in your own home, and the private bedroom will deliver the seclusion you are accustomed to. 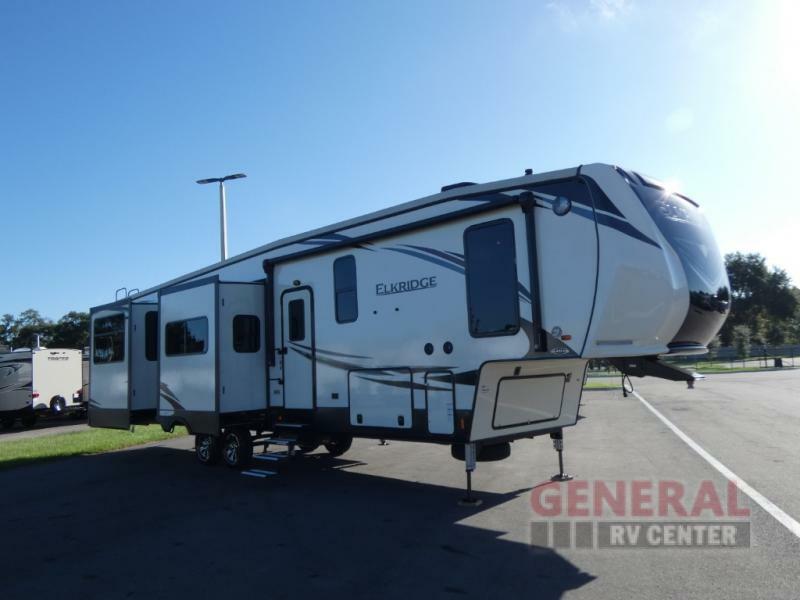 Increase your expectations for RV travel by indulging in an Elkridge fifth wheel. 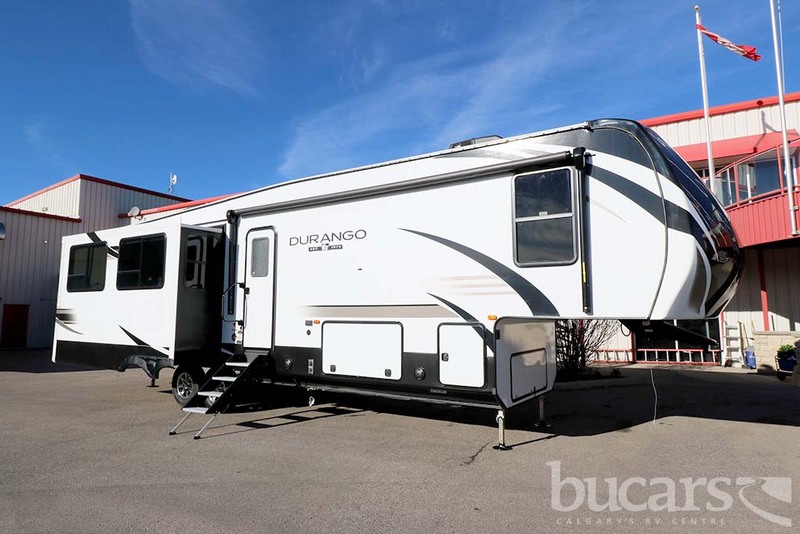 From the solidly built construction base with its welded aircraft-quality aluminum structure and one-piece walkable EPDM rubber roof, to the elegant exterior additions like the aerodynamic fiberglass front cap and deluxe power awning with LED lights, the Elkridge exudes its fine craftsmanship throughout every aspect of its design. 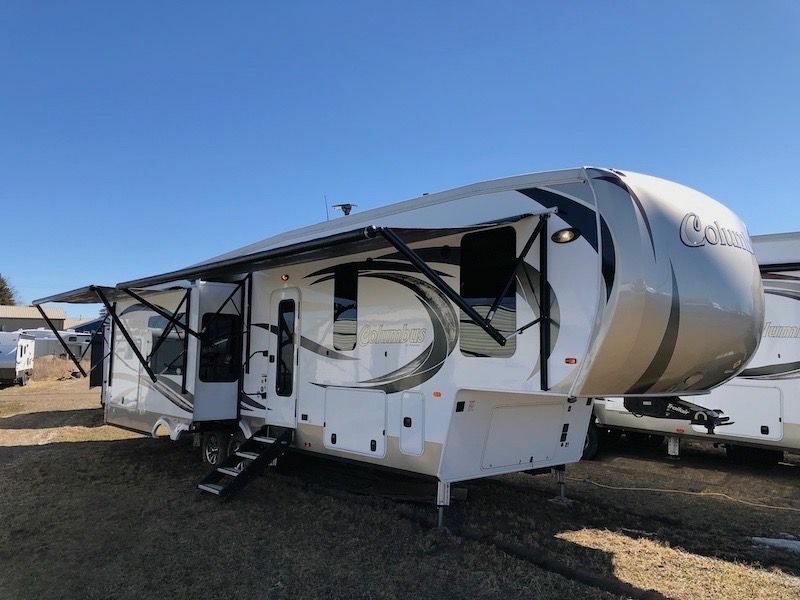 The ceiling fan is a helpful feature for the warmer summer months because it will keep your guests refreshed with the cool breeze that it brings, and you will find many uses for the exterior shower with hot and cold water as you play outdoors or cook out at the campfire.